Michael Hance writes: “Aye weel, this is somethin tae get yer teeth intae. 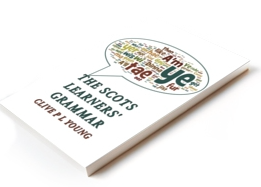 A discussion aboot language planning, orthography, language ideology an ‘revitalisation’. Look oot for the pairt o the discussion that’s tae dae wi dialect an orthographic diversity – whit the speakers caa ‘messy diversity’ but whit I doot we cuid cry ‘clarty diversity’. Oniewey, listen in an enjoy“. On the other haun is the notion o language as ‘practice’, ‘jist whit fowk sey’ in aw its mixter-maxter glorie. Here langage is kythin (emergent), rael (authentic) an e’er chyngin in yiss. Rule-makkers need tae keep their fat nebs oot o’t! It’s a kinna post-modren, post-naitionalist poseetion that lats on it’s neutral, pluralistic, democratic but o coorse isna. A focus on ‘practice’/dialecks/authenticitie is stappit-fu wi ideologie. Sue Wright wis pittin ower this neo-liberal, mairket-cawed, de’il tak the hinmaist kin o linguistics, thrawin a deefie at issues o pooer, status an economics.